Hmm, I thought. Sounds like this guy needs more than copyediting. Maybe I can refer him to a book coach. . . . It was Friday afternoon. I’m not sure what this person thought was going to happen, but certainly no one could seriously expect an editor, or really any publishing professional, to create something out of nothing and do so in 48 hours. This is an extreme example of the sometimes unrealistic expectations writers have of how quickly an editor can work. Still, even reasonable people want to know why copyediting takes three to four weeks, why development takes eight to twelve weeks or longer depending on how complex of a development it is. It’s a fair question. Here are my thoughts. As I have mentioned before in this blog, editors do not skim your manuscript. They read every word to make sure it is spelled correctly, assess every comma and semicolon to make sure it is used correctly, and evaluate every sentence and paragraph to make sure it makes sense and is in the best place for it. They check grammar and ensure consistency throughout the book, and they ensure each thought flows naturally from the one before it. Such careful reading means taking your time. Editors read every word multiple times. To help make sure as many errors as possible have been caught, copyeditors read a manuscript twice. Developmental editors may read the manuscript three or four times. Given that, different editors may average between four and ten pages an hour. If the development is extensive — you haven’t settled on a focus for the book, for example — the pace could drop to two or three pages per hour. Editors research the best solution to a problem. Four to ten pages an hour? Even when reading each word carefully, that seems awfully slow to the average reader. The holdup is that editors don’t simply know all of the rules of grammar, spelling, and usage. They know a lot of them, but the rest they look up. Dictionaries, style guides, dedicated websites for areas of expertise — searching through these resources takes time. Experienced editors know the best places to look for answers, but they still have to look. Related to this, editors keep a style sheet of all the terms and problem areas they research. That includes any proper names, unusual spellings, special treatment of key terms, and more that may be found in your book. Keeping the list in itself takes time. Ensuring its accuracy adds more time. However, these lists are essential in achieving consistency and correctness throughout a manuscript. They also are extremely helpful for anyone working on the project after editing, such as the designer and proofreader. Perhaps hardest for writers to understand is that they probably are not their editor’s only client. I like to make my authors feel as if they are my only client, but when it comes to how fast I can finish a project, the two or three other manuscripts on my desk have to come into consideration. I do not work on one project for eight hours a day. If I did, my eyes would glaze over and I would begin to make mistakes. Instead, I work on each project for a few hours every day. This helps me to stay engaged, critical for good editing. I, as many editors do, try very hard to give my clients an accurate estimate of the amount of time a project will take. As I am a businessperson, it is in my best interest to finish a project as quickly as I can while still providing the highest quality I can. That is how I earn my clients’ trust and repeat business. That means, most likely, your editor is not dragging her feet in editing your manuscript. (It’s possible, but not likely.) More likely, she is working methodically to help you create the best possible book. Build into your schedule an appropriate amount of time for each stage of editing (development, 2-6 months; copyediting, 3-5 weeks; proofreading, 2-4 weeks). Contact your editor early to get on her schedule. Alert your editor asap if you will miss the date you agreed to submit the manuscript. 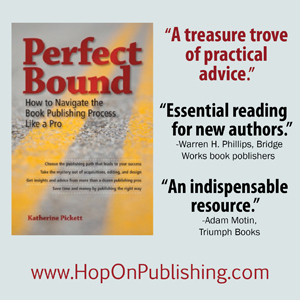 Take steps to turn over a manuscript that is as free of errors as you are able to get it. I will say again that the best thing an author can do is find the right editor for you, one who can meet your budget, your schedule, and your expectations for quality. If you have doubts that your editor is using her time wisely, ask for an update. If you determine your editor really isn’t performing to your standards, you may opt to pay for the work thus far and find someone else. Just keep in mind that a lot goes into good editing and often a little patience now pays off in the long run. It’s the rare book that doesn’t require a good stiff edit. Different editors may charge by the hour, by the word, by the page, or a flat fee. However, all of these metrics translate into an estimate of how much work will be required of them. The other variable in the equation, rate of pay, is based on the service requested. Here’s a breakdown of how the two variables are determined. Length, complexity, schedule, and level of edit are the main factors in determining how much work a particular manuscript will demand. Very long manuscripts, even the well-written ones, take a lot of time to read and edit. Very complex manuscripts, such as those with a significant number of references or large amounts of artwork, take a lot of time and even more brain power to keep the details straight. Short deadlines mean the editor may have to put other projects aside and work nights and weekends to finish on time. A stiff developmental edit, which covers high-level issues such as arrangement of individual chapters, transitions from chapter to chapter and paragraph to paragraph, and organization of the book as a whole, requires vision, attention to detail, and an impeccable ability to work with authors at their most vulnerable. An editor evaluates these factors and balances them against her experience as to the amount of effort it will take to complete the project on time and with the highest possible quality. Cost estimates based on word count, page count, or a flat fee all attempt to capture this amount of work. Pay by the hour is easiest for most people to understand, and often these other metrics come down to how much of the editor’s time a project will take. Different services are charged at different rates. Often the rate is commensurate with the amount of work required, so developmental editing is more than copyediting, and copyediting is more than proofreading. Why is this? As I mentioned in part 1 of this post, the cost of editing tends to be a question of value added. If your book is in terrible shape, the value your editor brings to the project increases significantly. At times it would seem the editor deserves coauthorship. In place of that, the editor is paid up front for her work. For standard rates you can expect to pay, see the Editorial Freelancers Association rate chart. These rates are based on a national survey of what publishing professionals charge. If they seem high to you — “$45 an hour? I wish!” — remember that the self-employed pay higher taxes and are responsible for their own health insurance, a significant burden for some. When looking at rates, particularly per page or per hour, it’s important to note that your editor does not skim through your work. I recall one author saying to me, “Four dollars a page? I can read a page like that!” as she snapped her fingers. That may be true if you’re simply reading for pleasure. Editors, conversely, who question every word and every sentence as they read, are generally able to edit between 5 and 10 pages an hour. This takes into account the two or three passes through the manuscript needed to ensure as many errors as possible have been corrected. Look at what the variables are that drive cost. Which of these can you control? For example, is the length of your book on target? Does it pass the bikini test — short enough to be interesting but long enough to cover the subject? Is your art program (photographs, drawings, charts, and graphs) appropriate for your genre? Have you set aside a reasonable amount of time for the editing to take place? Have you done everything you can to achieve a manuscript in tip-top shape? Some of the more expensive aspects of your manuscript may not be up for debate. If you are writing an exhaustive history book, for instance, you probably need a long manuscript with lots of artwork and plenty of reference material. In that case, to save money you need to have a flexible schedule and to prepare a manuscript that is as clean as your ability allows. If you opt not to perform a thorough revision of your own work yet want a high-quality product, you are essentially choosing to pay someone else to do those revisions for you. If you are concerned about costs, do your part to alleviate some of your editor’s work. As with all services, you are encouraged to request bids from multiple editors until you find the one who can both meet your needs and meet your budget. Part of finding the right editor is finding someone you trust is earning what you are paying her. 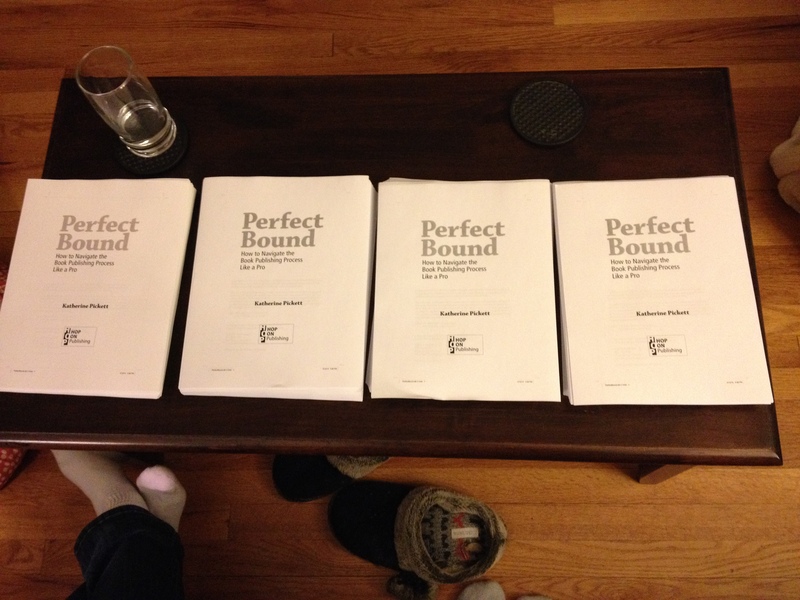 You’ve just received a set of page proofs for your book and you have no idea what to do with them. “Review them,” you are told. OK, but what are you reviewing them for? The following checklist outlines the tasks of a professional proofreader when editing page proofs. As the author, you should be on the lookout for many of these same problems. Ensure all pages are included. Check pagination to ensure pages are numbered consecutively. There should be no page number on blank pages and a “drop folio” — a page number at the bottom of the page — on chapter openers. Check running heads to make sure they are correct and that none are missing. Check spelling carefully. Note that there should be no running head on blank pages or chapter openers. Running heads for fiction are usually author name on the left and book title on the right. Nonfiction generally uses book title on the left and chapter title on the right, or part title on the left and chapter title on the right. Check the table of contents against the text to make sure everything matches. If the word chapter is used in the TOC, it should also appear on the chapter opener, and vice versa. Read through the entire book to correct spelling, punctuation, grammar, consistency, sense. Remember, you are not copyediting the book; you are polishing it. Check cross-references and fill in any missing information. Watch for bad breaks, such as widows, orphans, or broken contractions at the end of a line. Ensure design elements are treated consistently. All first-level heads should look the same, all second-level heads should look the same, and so on. Pay particular attention to spacing. Check twinning. Facing pages should align top and bottom. 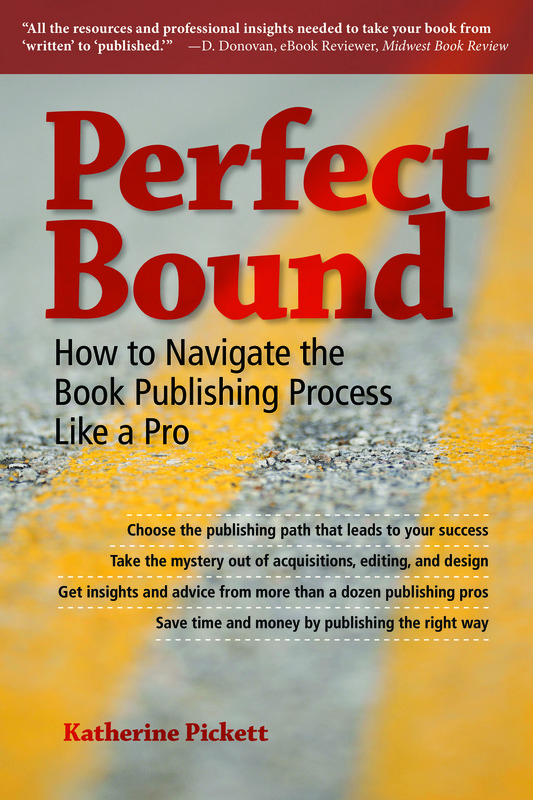 Most traditionally published authors don’t check twinning or mark bad breaks. They leave those steps to the proofreader and in-house editor. Self-publishers, even those who hire a proofreader, may want to go through all of these steps, as they don’t have an in-house editor to monitor the work of the proofreader and ensure quality. Tricks and techniques for good self-editing range from reading your manuscript aloud to reading it from end to beginning. These tactics can help you spot errors that otherwise may go unnoticed. They are particularly good for detecting missing words or confusing constructions. But much of self-editing is simpler than that. The essence of good editing is knowing what to question. If you’re new to editing, the answer is, question everything. If you don’t know if something is correct, look it up. As you become more practiced, you will question less because you will have learned the rules. Even when you know the rules, however, some areas should always be questioned. The following five points are common problem areas that spell-check will not reliably catch. Every time you see “your,” ask if that is the correct choice. If you mean “you are” then you know you want the contraction, “you’re,” instead. Every time you come across a pronoun, particularly “they” or “it,” ask what noun it refers to. If you can’t find the noun or it is very far away from the pronoun, replace the pronoun with the noun or rewrite the sentence. Every time you come across a list, ask if each item in the list is in the same form — sentence, phrase, or single word, for example. Make all of the list items match. Every time you see two words that form a common phrase, look them up in the dictionary to find out if they should be one word, two words, or hyphenated. Do this even if spell-check has not highlighted them. This last point warrants further explanation. Certain word pairs are so often used together that we think of them as one unit. Some of them really are one unit. Others have been joined by a hyphen, and still others remain two words. As you can see, there isn’t a lot of rhyme or reason behind what is hyphenated and what isn’t, what’s one word and what’s two words. There are some rules set out by various style guides, but even those have exceptions. And that is why you simply have to look them up. Editing your own work is difficult. It’s why we hire professionals. But before you get to that step, take some time to read your work with the thought to take nothing for granted. Take your time, and question everything.